Despite what many SEO Tools would indicate, the short answer to this is, in my experience, there is no IDEAL %, and the video above, published many years later after I first collected the opinions in this article, would go to confirm many of the opinions on this page. 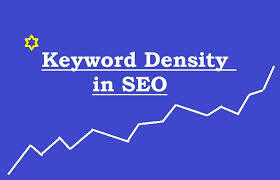 The keyword density score for a page is essentially calculated looking at how many times a specific key-phrase is repeated in a document, the number of words in that key-phrase and the total number of words in the analysed text. Its natural to think its then important to try and identify that ’SWEET SPOT’ to achieve high rankings in Google. The question is – what is the optimal keyword density? is it 3% or 0.3% or 33% ? ?